How are we to bring order into this multitudinous chaos and so get the deepest and widest pleasure from what we read? 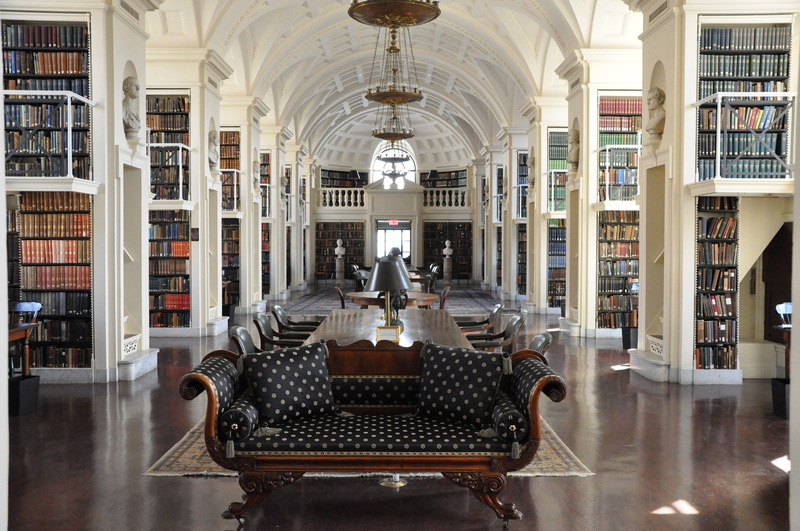 “To enter the building is to feel an overwhelming impulse to read.” So wrote Sarah Schweitzer about the Boston Athenaeum in a 2009 Boston.Com article. Indeed, pushing back the building’s red, leather-bound doors, one plunges into the world of reading like a sea-creature slipping into the ocean’s depths. How is it that a building can transform us from scatter-brained urban land creatures subject to Boston’s many disparate calls into more focused beings equipped to swim through the world of learning? It may be that the library’s high ceilings and twelve floors expand our sense of possibility, inviting the mind to unbend. Certainly, the Athenaeum’s quiet aura of uninterrupted work offers a refuge from the jostling noise of the city’s streets. Fellow readers lost in concentration call us to our task. Art, sculpture, newspapers, journals, 750,000 books, maps–all await, encouraging inquiry. The interior’s opulence telegraphs the value of spending time with books, transporting us to a lost age when leisure allowed one to linger over fictions and treatises, sermons and histories, maps and art, with nothing more pressing awaiting than afternoon tea. But the Athenaeum’s true luxury is something even more precious and more rare than comfort and splendor alone: it offers the order necessary for sustained reading. We see this order in the carefully designed reading spaces enticing one to that concentrated state of mind so beneficial for reading. Solid walnut tables provide space for research materials. Desks tucked between bookshelves beckon. Upholstered chairs placed next to side tables allow readers to sit next to stacks of books and begin the task of browsing. The reference room displays recent journals side-by-side on long tables (shown below) carefully ordering the chaotic possibilities before us. 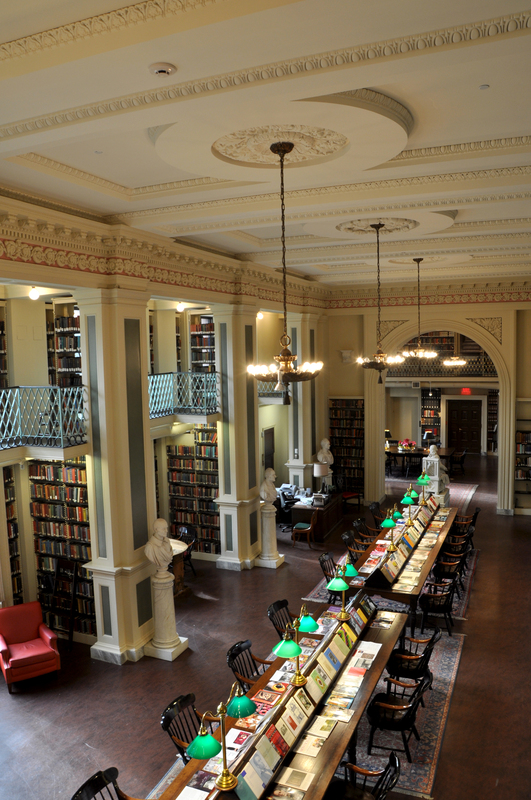 The Boston Athenaeum is a subscription library. 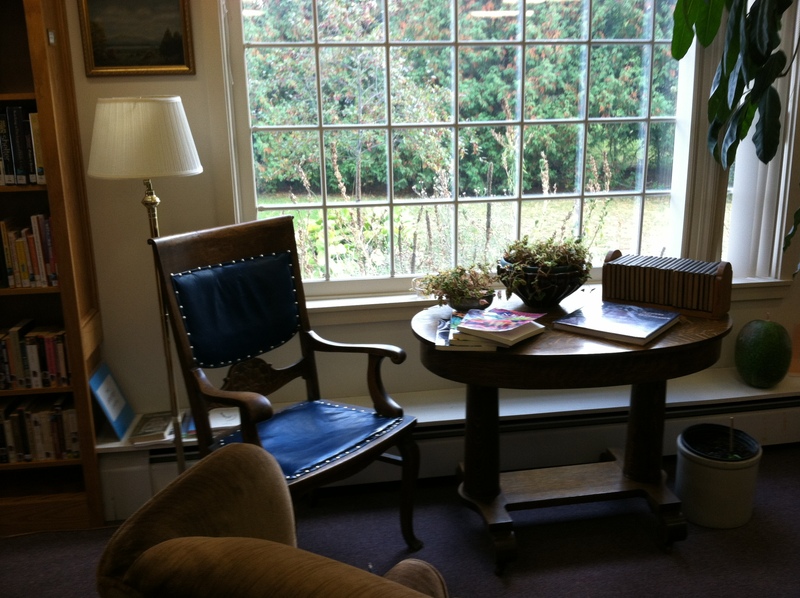 To borrow books and use the upper floors requires a membership fee beyond the reach of many. But the first floor is open to the public six days a week, and the Athenaeum’s programs, including concerts, are open to the public free of charge. Its value as a public space is at least threefold: it is a research and membership library; an art museum and public gallery; and a public forum for lectures, readings, concerts, and other events. Perhaps most of all, the Boston Athenaeum is a valuable icon reminding us of the civic value placed by a community on reading. Less palatial, but no less essential, are the public spaces created by our public libraries. 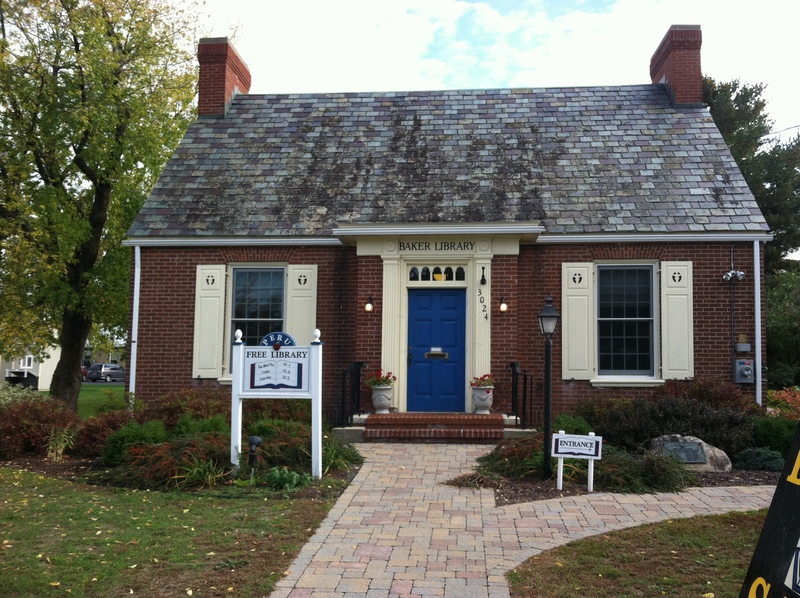 Situated by the apple orchards of upstate New York is the Peru Free Public Library (shown below), a lovely 1927 structure that blends the old and the new. It maintains its early twentieth-century elegance, even as it runs on solar energy. Smaller in scale than the Boston Athenaeum (it holds about 14,000 items), it, too, beckons readers with its carefully arranged reading spaces. 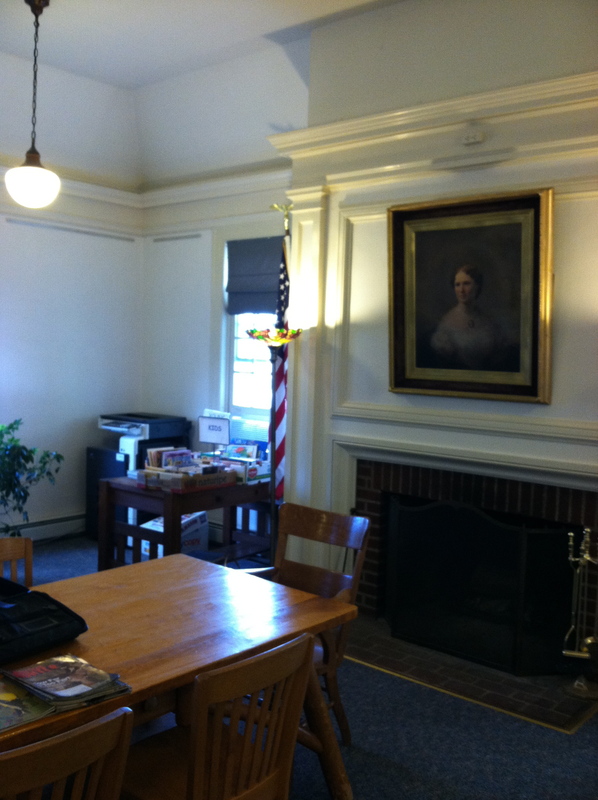 A fireside (below) often warms readers working at the reference room’s long tables during the shortening fall days and throughout the winter. 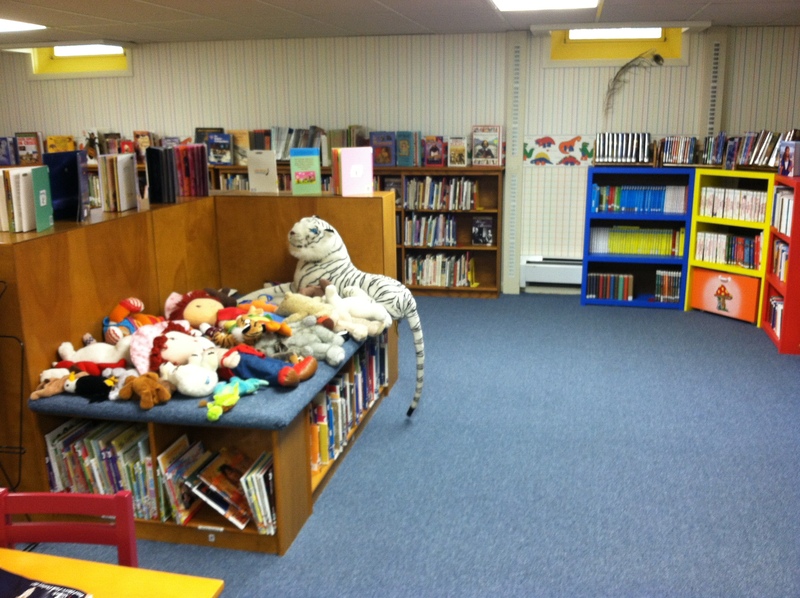 The Peru Free Library’s many activities bind the community through art shows, pottery shows, book sales, children’s activities, public lectures, and other events. Like the Boston Athenaeum, the Peru Free Library is carefully and creatively managed. 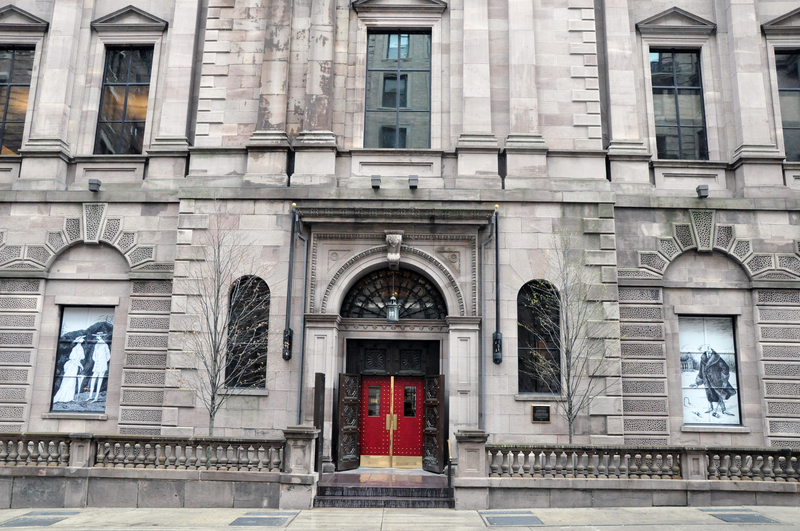 Public reading spaces like the Boston Athenaeum and the Peru Free Library contribute immeasurably to their communities and to their readers, allowing them to expand their sense of who they are. By orchestrating spaces designed to slow us down long enough to stop skimming and sink into deep reading, they encourage a more studied approach to thought than is possible away from books. If we feel as Woolf did, that heaven is “one continuous unexhausted reading,” the Boston Athenaeum and the public libraries that share its commitment to encouraging reading make it a little easier to experience heaven on earth. Comments on his post pointed out that, duh, you just get a friend to send articles to you, or you join a Facebook or FriendFeed group dedicated to swapping articles or just get somebody’s login. Too bad we spent so much on EEBO – apparently everyone has a bootleg login. The notion that “everyone has a bootleg login” as well as the remark, “Too bad we spent so much on EEBO” gave me pause. While I have known a case in which someone shared his login with a few former students (now colleagues elsewhere), I was frankly surprised to hear that this practice is seen to be so widespread. Am I being naive? And, as Fister’s reply suggests, if it is so common, then the practice certainly has financial implications not only for the commercial owners of these resources but also for the institutions that allocate funds (often student technology fees) to purchasing these resources. As Fister also noted, these databases are not free, and it is telling that the surprised blogger could have spent several years if not many earning an advanced degree and remain clueless about the economic issues, costs, and licensing terms associated with these resources. The exchange also raised questions about sharing an article or a text with a colleague at another institution that lacks access. I have done so on occasion and had considered the gesture a favor to another colleague. I have also performed a quick search and sent title results to a friend. While I can count on my hand the number of times I have done so, this post made me realize that this good-will gesture has another side to it as well if practiced regularly–and perhaps even if practiced only rarely or at all. So, is the use of bootleg logins rampant? What do others on emob think about this underground trafficking, the sharing of passwords and articles or texts? Is the rare sharing of an article or text unethical ultimately? Are these questions of degree? Or are all of these activities equivalent? And how do we view and balance these questions of ethics against those related to the ethics of the digital access divide separating the scholars who have these resources from those that don’t? An Amazon.com book search on 9 June 2009 gives 1009 (6 August, gives 1,859) “books” from Alphascript Publishing. [nan 1] 1003 of the books are described as “by John McBrewster, Frederic P. Miller, and Agnes F. Vandome”. They are called editors in the book listings. It seems the only content of the many books is free Wikipedia articles with no sign that these three people have contributed to them. The articles are often poorly printed with features such as missing characters from foreign languages, and numerous images of arrows where Wikipedia had links. It appears much better to read the original articles for free at the Wikipedia website than paying a lot of money for what has been described as a scam or hoax. Advertising for the books at Amazon and elsewhere does not reveal the free source of all the content. It is only revealed inside the books which may satisfy the license requirements for republishing of Wikipedia articles. The piece concludes by noting that “PrimeHunter has compiled a list of the 1009 titles,” and this list was as of June 2009. The specific title that led to this discovery sells for $49.00 on Amazon. In the world of scholarly electronic publishing, InteLex continues to get it right, as they have from the beginning: working closely with scholarly editors, selecting high-quality editions to digitize, marking them up carefully and well according to international standards, and permitting libraries either to rent them over the Internet or to purchase, own and locally house them, as we do print editions–all at reasonable prices. I recommend InteLex databases to libraries wholeheartedly, not only because they are superior publications and a good deal, but also because InteLex is the kind of electronic publisher that academic libraries need most in the 21st century. As Scott Ennis’s words suggest, resources offering well-chosen texts that are marked up using recognizing standards, produced with scholarly input from start to finish, and sold for a reasonable, fair price are the types of tools we do need for the 21st century. In light of this post’s topic, this list of characteristics also outlines an ethical template that publishers would be wise to follow in making digital products available. Based on the list of authors (Gay and Swift, both Fieldings, Humphrey Wanley, Humfrey [paleaographer, Anglo-Saxonist, librarian, 1672-1726] and many more figures including late eighteenth-century ones) and its extensiveness (the series contains forty-eight volumes of correspondence) this offering appears to be valuable; in a future report I will report on my experiences using it.